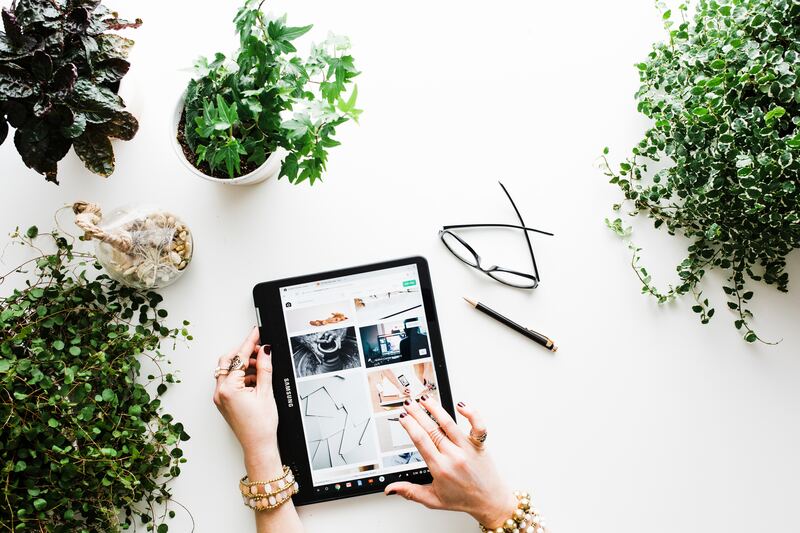 Are you an Instagram influencer and do you want to make money with creating authentic content for our advertisers? 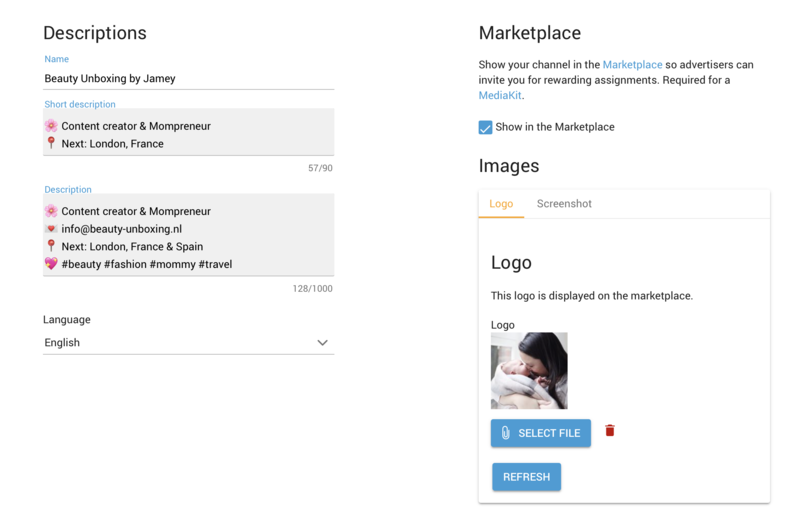 When you've added your channel to your account, you can choose to sign up for the marketplace. Your media kit has to be filled in completely, to qualify for the marketplace and before you can pitch on campaigns. In the rest of this article we'll explain how to fill in your media kit. 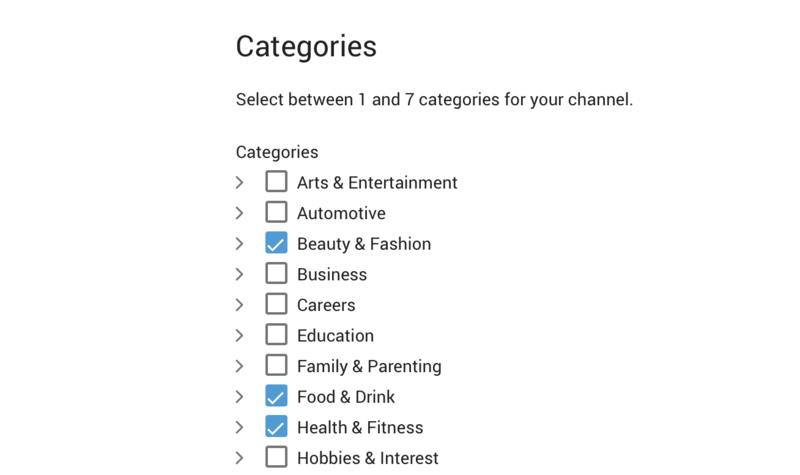 Once you've added your channel, you can start with filling in your media kit. You can declare here whether you have a business account. If so, you can connect with Facebook. You do this under the tab 'connections' (see image). When you connect with Facebook, we can measure your reach and advertisers can see on your media kit that your account and data have been verified. You can also fill in the demographics of your followers. With this extra information on your media kit, your chance on a collaboration with an advertiser will increase! Add your products, prices and a sample URL to the media kit. These rates are asking prices, but there's always room to negotiate in a collaboration. Give a description of your Instagram. The short description will be shown in the marketplace, the full description in your media kit. Both are equally important! This will be shown in the media kit and gives the advertisers a good impression of the person behind the channel. 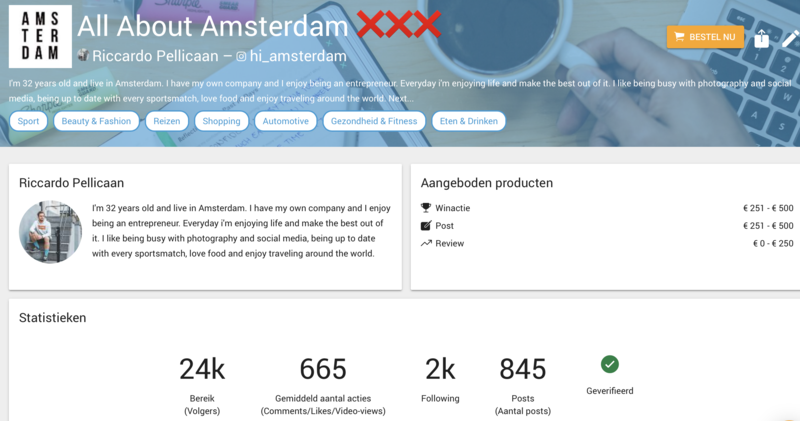 If you don't want to add a personal biography, you can add a logo instead of a profile picture and a biography about the business! 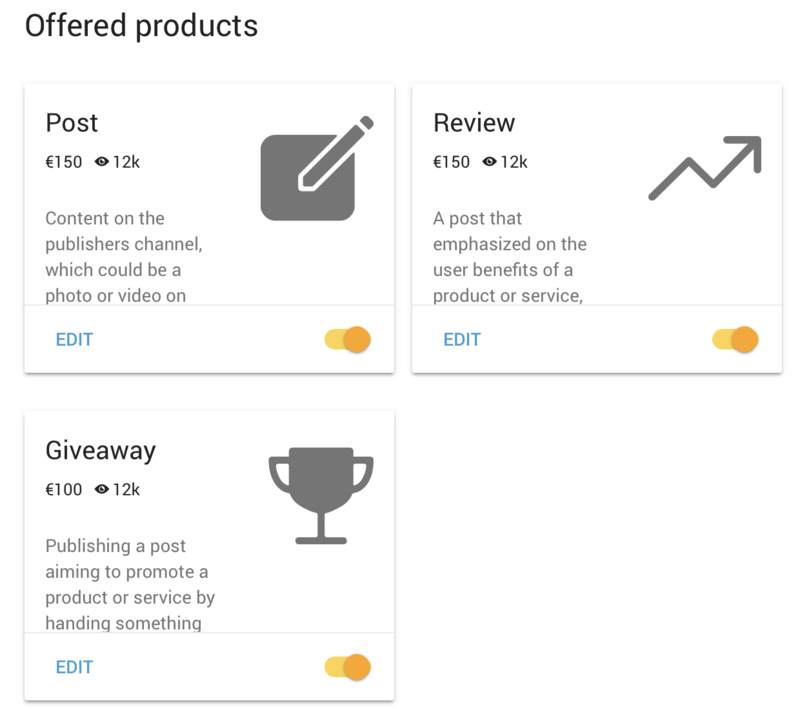 Did you add your channel, do you meet the conditions and have you fully completed your media kit? Don't forget to ask for approval! This is the last step in your media kit settings. This way we can approve your media kit for the market place! Here you can view an example of an fully completed media kit.